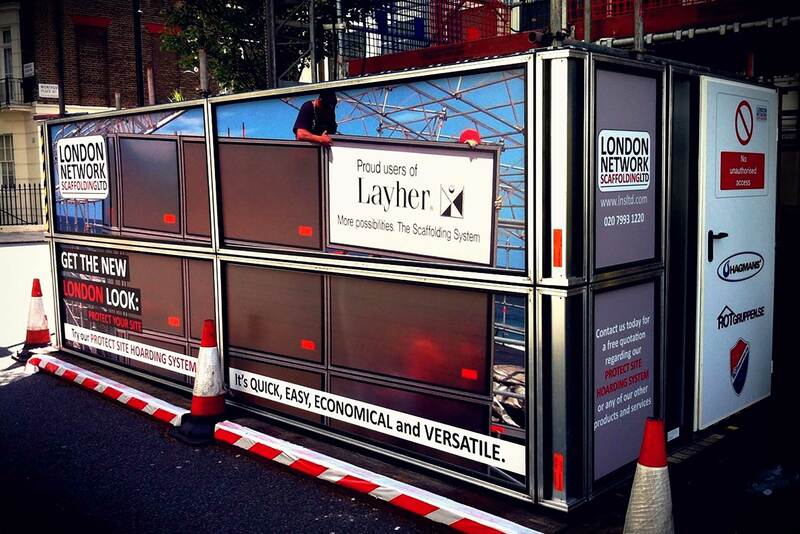 The benefits of Layher’s Keder XL temporary roofing system have been highlighted via a major project in central London undertaken by contractor London Network Scaffolding Ltd (LNS). The installation, at the Swedish Embassy in Marylebone, has seen the Layher system provide clear-cut benefits for the roof refurbishment work that has been at the heart of the project, which also highlights the separate advantages associated with Layher Protect screening systems. 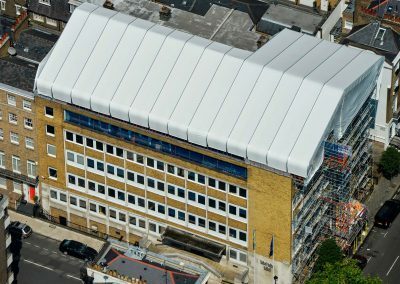 Installed in an L-shaped configuration to follow the plan of the building, the Keder XL roofing system was positioned on top of a ground-based support scaffold. 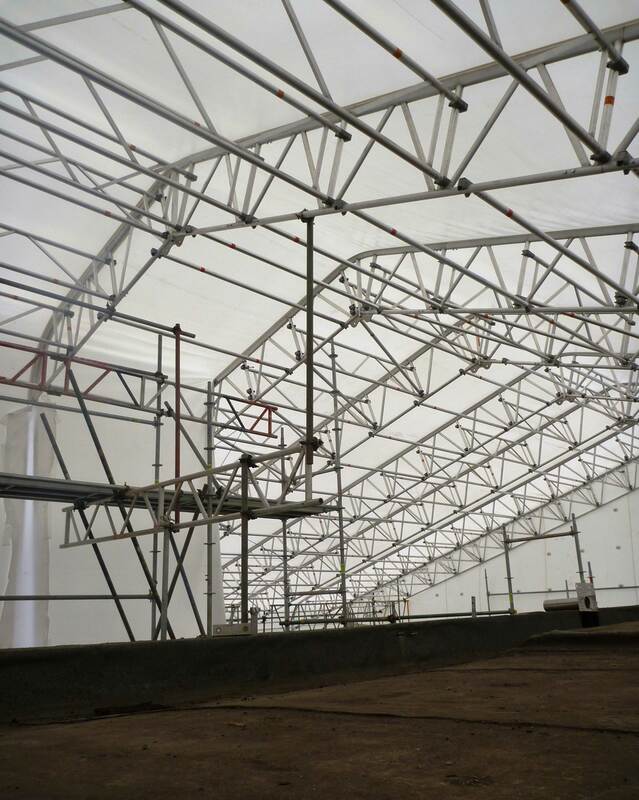 Comprising a series of aluminium rails fixed to trusses installed across the full roof span, the Keder XL design benefits from translucent sheets which are slid over the apex and fixed into position in each bay. This provides a visually excellent result as well as a clear, naturally-lit working environment within. 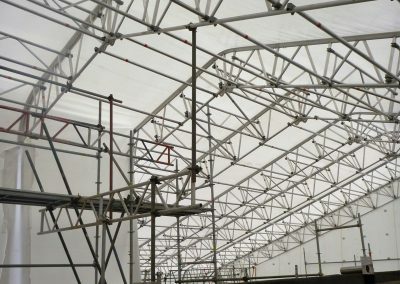 Importantly, the roofing system can be assembled without the need for a crane – of particular note in locations such as central London, as is the case here. 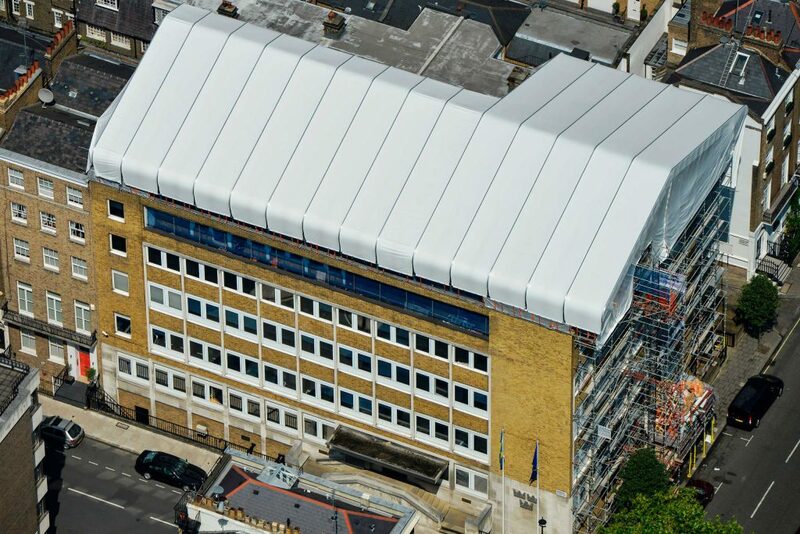 “Our installation of the Layher Keder XL system was ideal for the work at site which included the removal and replacement of the roof and insulation, and the fitting of a new weatherproof membrane,” comments Gary Flynn, Managing Director at LNS. His company was appointed by Swedish roofing contractor, HAGMANS TAK, who were operating on behalf of Rotgruppen and Statens Fastighetsverk – The National Property Board of Sweden and owners of the Swedish Embassy. LNS also installed a hoist system at one gable end to move both men and materials to the working roof height – access from which was simply achieved by creating an opening in the roof system sheeting. 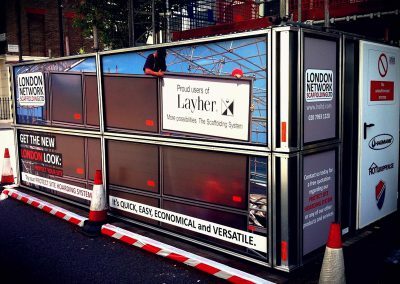 “The speed and simplicity of erection that is at the heart of our Keder XL system were clearly demonstrated through LNS’s involvement with the Swedish Embassy,” comments Sean Pike, Layher’s UK Managing Director. “In an extremely busy central city location such as this, the advantages of the erection method are clear-cut while, for the workforce undertaking the roof refurbishment work, the benefits of the well-lit environment are self-evident, with the in-built weather protection a key factor given the vagaries of the British climate. “We are delighted to have been able to work with Gary Flynn and his team at LNS to design and provide the optimum systems for the refurbishment job in question. The installation clearly demonstrates the skills of the contractor and the major advantages associated with our products – all coming together on a highly prestigious and important building,” adds Sean Pike.